CineFocus Productions was founded with the goal of telling stories that engage and inspire viewers. From digital shorts to independent features, CineFocus brings a high level of attention to detail and artistry to every project. We will oversee every aspect of the process to ensure a successful production and the best possible content. Our team is made up of a forward-thinking group of production professionals dedicated to delivering work of the highest quality. CineFocus Productions is DGA signatory. From conceptualization to completion, we're part of the writing process from the beginning. Whether it be a feature film or a short digital sketch, we work to make sure a script is at its fullest potential before moving forward. As passionate filmgoers ourselves with an understanding of audience tastes and film markets, we know what makes a good script. By analyzing the strengths and weaknesses of scripts, cultivating relationships throughout the industry, and highlighting the potential in a project, our team works diligently to bring good stories to the big (or small) screen. We'll handle all the logistics of putting together the shoot. 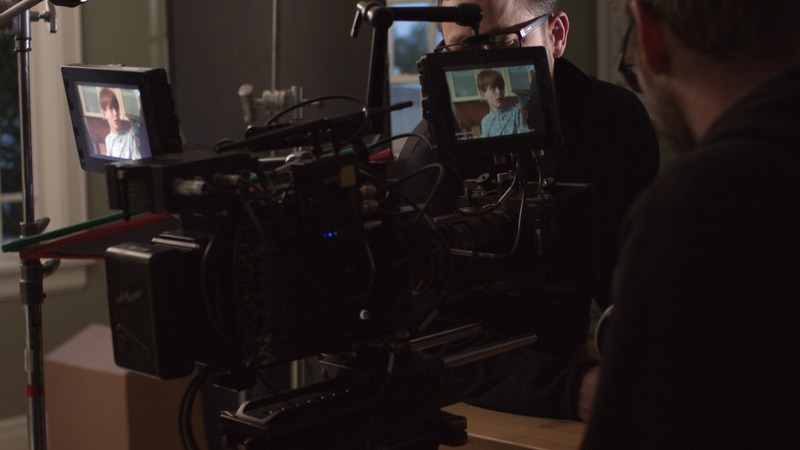 That includes hiring crew, casting, securing locations, obtaining permits, and working out the schedule. Our goal is for every step of the production run smoothly, but when complications arise we are able to problem solve and adapt to changing circumstances. As a full-service production company, we primarily use our own equipment on shoots but will occasionally bring on rented supplemental equipment depending on the production's needs.. When the footage is delivered, our in-house editing team will work diligently to cut your video to ensure the highest quality final product. 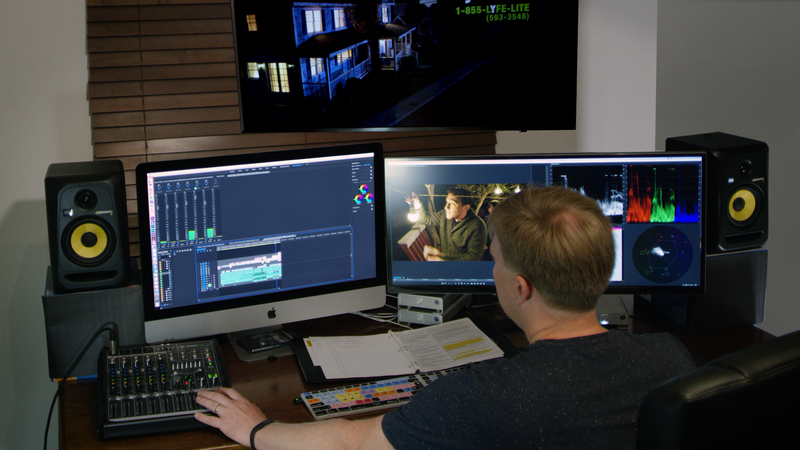 We'll work with the top colorists, post sound mixers, composers, and other post-production professionals to add that finishing touch. Our job's not done until we've successfully handed over the final product and our clients are satisfied! Capturing a scene for the LyfeLite commercial. 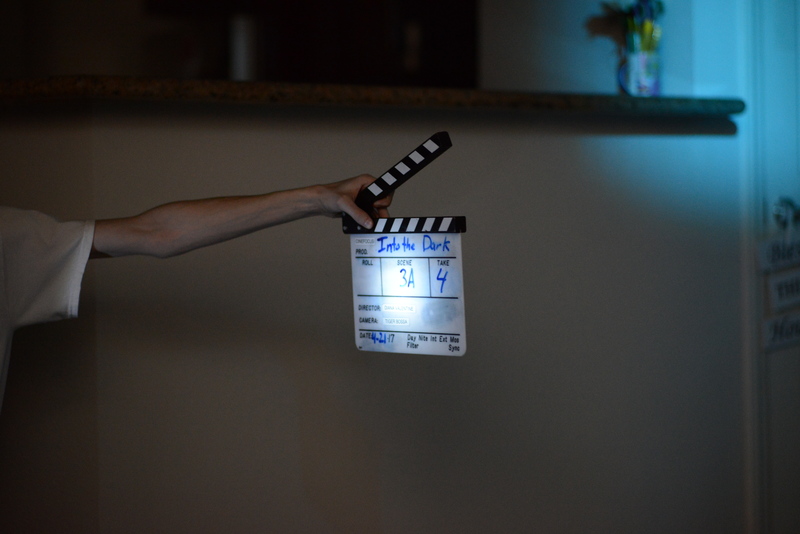 DP Tiger gets the camera prepped for the “Into the Dark” shoot. Val and Matt share a laugh on the “Into the Dark” set. 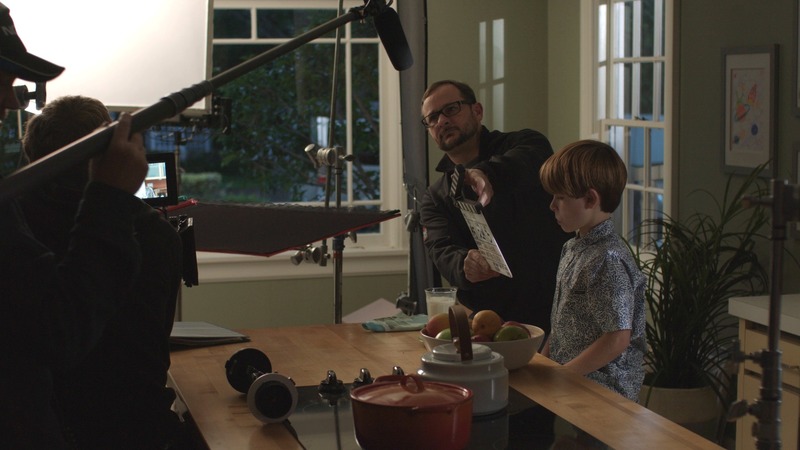 Slating a scene for the LyfeLite commercial.